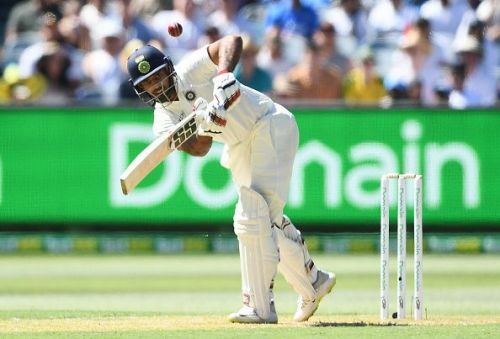 September 7, 2018, was a day which Hanuma Vihari shall never forget. He made his Test debut against England on this day after some phenomenal domestic seasons. Since then, he has proved to be a credible all-rounder for the Indian team. He is now all set to represent Delhi Capitals in this IPL season and show his capabilities in the shorter format as well. In an exclusive interview with Sportskeeda, Vihari talks about India's feat in Australia and the upcoming IPL season. How has been Delhi Capitals' atmosphere in the presence of Ricky Ponting and Sourav Ganguly? Vihari: It has been really good. The past one week has been pretty well. The team is positive and gaining knowledge in the presence of these two. The team hasn't won the league till yet and we're up to change the fortunes of the team. How do you see Shreyas Iyer as the captain of the team? Vihari: It's quite early to judge him. It wasn't easy for him last year when he got the captaincy in the middle of the season. He did a pretty well job in continuing the momentum and absorbing the challenges. However, this is a fresh season with a lot more challenges to offer. Which position are you willing to bat for the team this season? Vihari: I have always preferred batting top of the order. This decision lays on the team management. I'll be also comfortable to bat at No.4 position for the team. How would like to describe your tour of Australia? Vihari: It was a great experience. It was my second tour and we managed to win the Test series. This was the first time that the Indian team won the test series in Australia. It is always great when people start recognising your performance. I'm looking forward for this IPL and give a mark in the shorter formats as well. What has been your most memorable moment while representing India? Vihari: Winning the Test series in Australia has been at top of the ladder. We made a good comeback in the Melbourne Test and it was great being a part of that match. You were the captain of Andhra Pradesh in the Syed Mushtaq Ali Trophy. How would you like to describe the performance of your team? Vihari: We weren't consistent in any of the departments. We played well in few patches. The side is young and requires more exposure. It was a learning experience and I hope we'll get better with time. What should the readers of this article expect from Delhi Capitals this season? Vihari: We've got some new guys in the team and the support staff as well. The team is boosted up in the presence of Ricky Ponting and Sourav Ganguly. This team will be different from the past seasons.